No bells, no whistles – can a stripped-back phone make it in a smartphone world? While it does have some features to recommend it (especially the excellent build quality), there's some problems too. 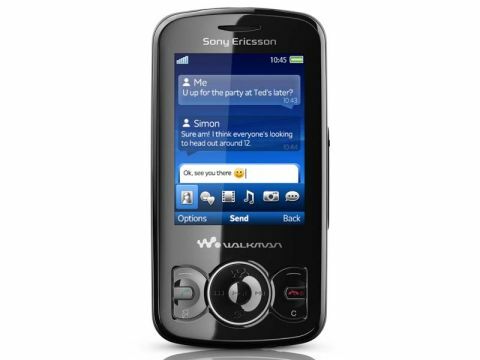 The Sony Ericsson Spiro launched alongside the Zylo, its Walkman-branded slider brother-in-arms. While the Zylo used its FLAC audio support as its unique selling point, the Spiro doesn't really have a comparable feature, so what's to recommend it? While we generally abhor clichés, it's hard to deny that the Sony Ericsson Spiro is both small and perfectly formed. Media playback includes music, photos and videos via the built-in Walkman software, and there's a 3.5mm headphone socket. Internet connectivity is provided by Edge connectivity, while a 2-megapixel camera snaps images and videos you can view on the 2.2-inch 240 x 320 (QVGA) screen. All of these are pretty mild as far as modern specs go, so let's skip to the good part: the Spiro is available for as little as £40-£50 on Pay As You Go. While we all enjoy drooling over the latest and greatest smartphones, let's not forget the giant section of people who want PAYG phones and don't want to spend £400. Not that the modern digital age has been completely forgotten – a web browser and Facebook and Twitter applications can both be found on the feature list. Rounding out the Spiro's specs are the addition of Sony Ericsson TrackID song-recognition software and an FM radio, as well as a micro-USB port for charging and connection to PC and Bluetooth. Sony's PlayNow service is included for downloading media and software. The meagre 5MB of on-board memory can be supplemented by a microSD card up to 16MB. In the box you get the phone, some instructions, a mains charger and a hands-free kit/earphones. As with the Zylo, no USB cable is included, so you'll need to find your own way to get music onto the memory card, or pictures off the phone. The Sony Ericsson Spiro is available in Stealth Black (our review model), Contrast Black, Spring Green and Sunset Pink.